Childcare safety is something that must not be ignored, and as parents it becomes the prime duty of them to ensure that their child is safe, and hence they must take up certain childcare safety tips. Safety of the children in a childcare setting is also one of the main sources of anxiety of the parents. Especially, working parents need to send their child in childcare centre because they need to keep their children in safe hands during their working period. When choosing a childcare centre, you should check their infrastructure and safety rules. Parents are seen to be more nervous than their kids at their first day of preschool and childcare. All parents love their children and they always want them to be happy and have a safe experience. 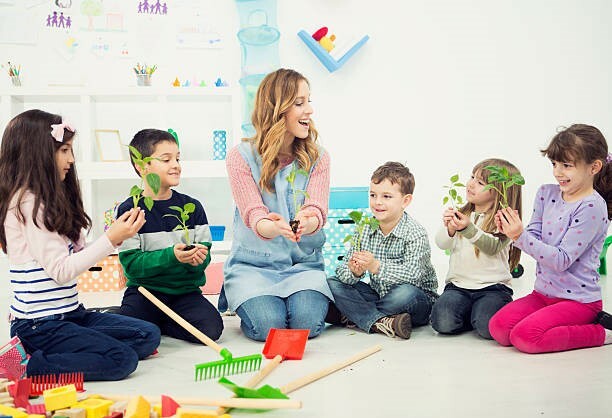 While choosing a childcare centre, there are some essential childcare safety tips that must be taken into consideration. Health and sickness: One of the most relevant childcare safety tips is that of health and sickness. It is something that must not be ignored and must be taken into consideration. It helps in preventing the spread of illness, and those unwanted germs that causes flu. Hand washing is very important from the prevention of illness and germs. So you need to check a child care centre that has enough infrastructure and hygienic atmosphere for children. Assurance of safety food: It is essential for the childcare centres that the best practice of food service is carried out. This nearly prevents your child from causing food allergy. They will train your child and they will provide hygienic diet to your children. Preparation of safety plan: Planning for their safety becomes quite necessary, so that your child is prevented from accidents and injuries. Taking some of the essential safety guidelines becomes quite relevant for the safety of your child. Policies and training: It is relevant to see that your child is a part of a safety childcare centre. Policies regarding hand washing, safe play, food safety facility, a proper supervisor is essential. Children must be taught to not to play near the streets. Children must never be left alone outside. The outdoor play area of the children must be checked, and it must be clean. Children must call out for help if their toys roll down the street. Installation of child proof latches is a relevant part of childcare safety tips. Outdoor playing area must be fenced particularly near the parking area, pond, well, rail road track, etc. The play area must be surrounded with electrical appliances, such as ACs, with fences, so that your child cannot get into them. Barns, storage sheds, and garages must be locked. How to Choose the Best Child Care Centre? The important question that must be asked childcare safety tips is that, whether the centre is licensed or registered under the government or not. Visiting the child care centre before bringing your child here. Examining the areas where your child will be using mostly. Regular opportunities for indoor and outdoor games. So now you can search some best child care centre online and choose the best one for your children.